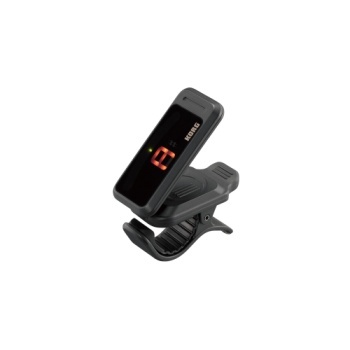 Compact, accurate, and easy to use, Pitchclip is the discreet, chromatic clip-on tuner that's ideal for guitar. Used and loved by players around the world, Korg's clip-on tuners have earned a place as standard equipment for the modern guitarist. The compact, affordable, and easy-to-use Pitchclip is the latest addition to the popular Korg clip-on family. Simple and user-friendly, the Pitchclip offers highly accurate tuning, fast and ultra-responsive results, and excellent visibility. Pitchclip is the choice for every guitar or bass player who desires fast, accurate, and carefree tuning.